Stones Throw has done it again. Today the fan-friendly indie rap label will issue Chrome Children 2 for free. It follows Madlib & Talib Kweli’s Liberation, an internet-only EP posted on the Stones Throw website for just a week (and is no longer available). Much like its predecessor, last fall’s Chrome Children, this compilation is a collaboration with frat-boy haven Adult Swim. The first edition sampled from the label’s roster; Chrome Children incorporates close associates like Four Tet, Dabrye and West Coast hip-hop legend Arabian Prince. 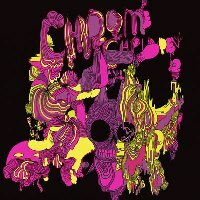 Chrome Children 2 will only be available on Adult Swim and Stones Throw for a month, so get your download pronto. In related news, Aesop Rock leaked news of Def Swim, a collaboration between Definitive Jux and Adult Swim, on his MySpace page last week. He writes that it will be made available on February 26. However, Definitive Jux hasn’t released official details yet. Read Rachel Swan’s review of Chrome Children. This entry was posted in News and tagged Adult Swim, Stones Throw. Bookmark the permalink.